Every scenario and possibility has been taken into account except one. The involvement and intervention of aliens. In recent years many evidences and unexplained phenomena have suggested that they are not too far away from us. The reason that they cannot be seen or detected is probably done to their advanced technological abilities and superior power over the mankind. This is the reason on why the communication systems and all the wireless devices within the plane were shut done all of the sudden. 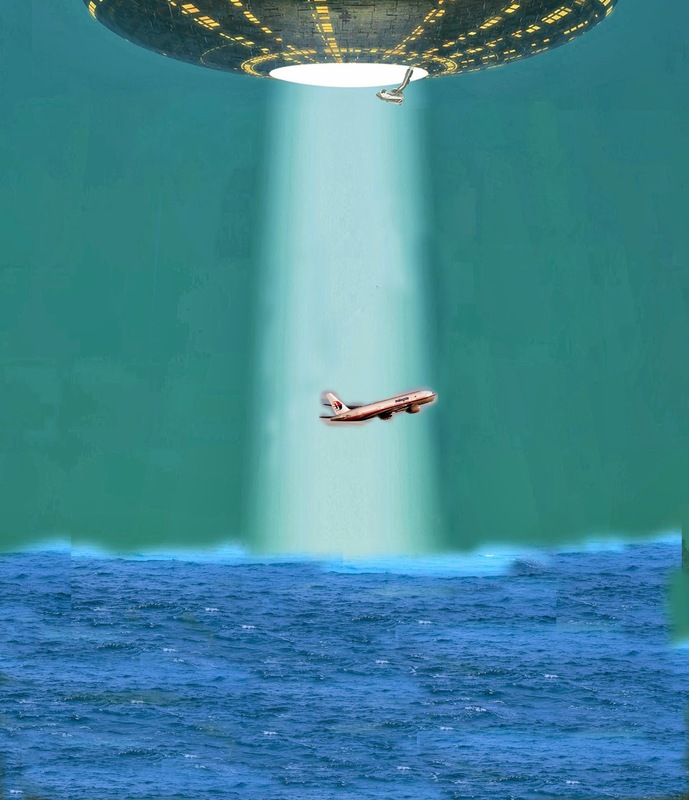 My scenario is that a giant and absolutely undetectable UFO has disabled the plane communications system and jammed all the wireless outgoing signals including the black box and mobile devices of all sort within the plane. Then they chased the plane very closely. The pilot and his co in desperate and anxious attempts tried to get away from them and diverted their rout twice, but the giant UFO gets closer , flies above the plane and grabs or swallow the whole aircraft into itself. The operators of the alien object are not necessarily biological beings. They could be artificial and computerised intelligent. All I wish is; no matter what has happened, the plane has not been crashed and 239 people on board are alive and healthy and we hear from them soon.